Three bedrooms/one and 1/2 baths/sunroom. 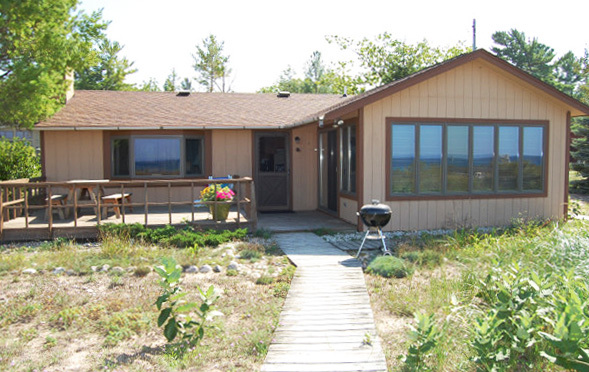 Private Lake Michigan frontage on Sleeping Bear Bay in Glen Arbor. Accommodates six. Queen bed in master bedroom; twin bunk beds in second bedroom; Full bed in third bedroom. Stone fireplace; ceiling fan; carport. Charcoal grill. Linens and towels not provided. Nonsmoking. Walk to shopping and restaurants in Glen Arbor. Summer rentals are Saturday to Saturday.